26.03.2019 Madrid- Recordia by CWS is now available in Microsoft® Azure and Microsoft® AppSource marketplaces. You can find Recordia in the Azure or AppSource Marketplace by searching “Recordia”, or “call recording” and similar keywords or by clicking here. Recordia facilitates gathering all valuable customer interactions under one single repository in the cloud. Via a responsive web, you can search and apply analytics to discover hidden insights and trends that will improve customer satisfaction. Recordia is a disruptive solution for recording interactions, able to capture, encrypt, record and store customer interactions: landlines, mobile phones, fax, SMS, email, social media and even F2F conversations. It integrates with CRMs like Microsoft Dynamics by auto populating all interactions inside the customer´s profiles in CRM, no need for additional space within Dynamics. Recordia is quickly becoming a reference in Customer Information Completeness, which is increasingly cited as a business concern due to recent regulations such as MiFID II and GDPR. Recordia seamlessly integrates with most commonly used CRMs such as Microsoft Dynamics and Salesforce. 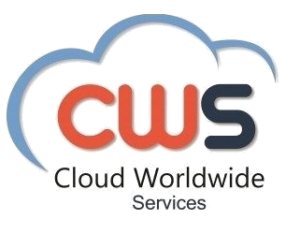 Recordia is a solution by CWS, an industry leader in developing and providing cloud solutions leveraging over 20 years of extensive experience and excellence. A Certified AWS Advanced Technology Partner and AWS Public Sector Partner.